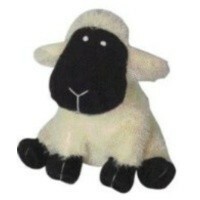 Danish Design Seamus the Sheep Plush Dog Toy is a fun and extremely loveable character for your dog to play with. Made from quality plush material, this fantastic companion toy features a hidden sheep "Baa" sounder to interact with your dog and keep them entertained for hours. The perfect little friend for your dog! Seamus measures 10" in size.